You can now host your Java games on itch.io. 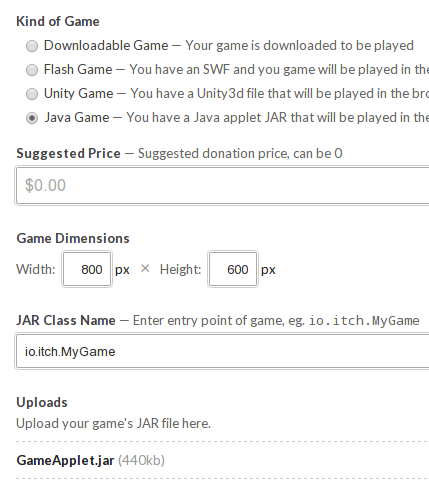 From the New Game/Edit Game page choose “Java Game”. You’ll have to upload a jar file, provide the dimensions of the applet and the class name of the entry point. Your game will be embedded directly in the page. Like other embedded games, you can take donations for your game if you have a payment account set up.